This post is brought to you in collaboration with the iTrace iPad App, all opinions are my own. When I decided to start homeschooling the boys, the very first homeschool curriculum I purchased was a Handwriting Without Tears bundle on cursive writing. Our local schools do not teach it, but I feel it is still important to learn, so I knew right off the bat that was something I wanted to teach them. 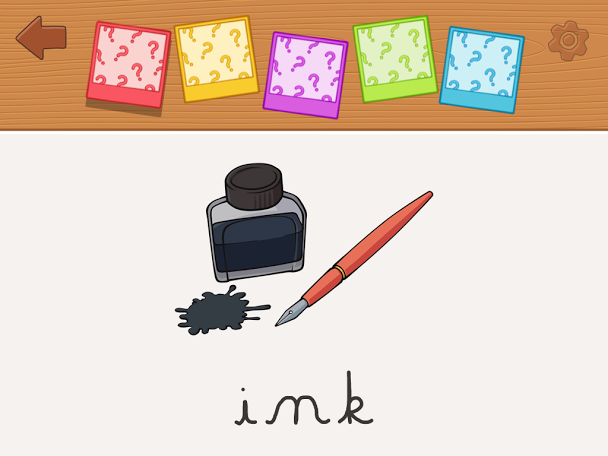 I was recently introduced to the iTrace App for the iPad, and not only is it an amazing resource for teaching young children handwriting, it can also teach older children cursive writing as well. The best part? It supports three of the most popular methods of teaching handwriting most commonly found in schools across the country, and one of them is Handwriting Without Tears! With the iTrace iPad App, your children can not only learn how to write letters and numbers in both regular and cursive writing, but they can also learn to spell and write their name and a variety of other common words as well. The iTrace app was created under the guidance of 10 educational professionals and over 100 children, and supports Zaner-Blosser, Handwriting Without Tears and D'Nealian styles of teaching handwriting. 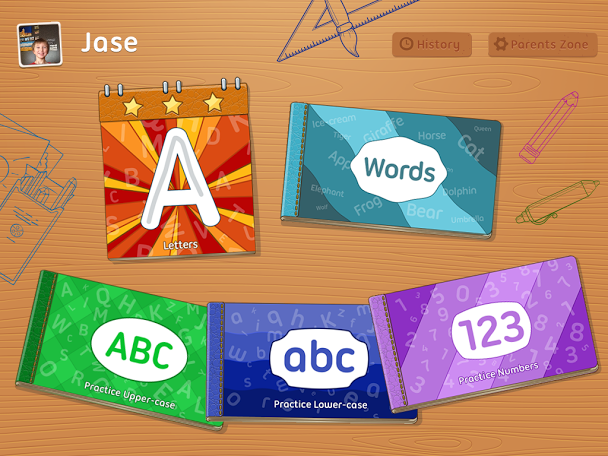 600+ different rewards for when a child masters a letter, number or word. Supports multiple players and can track and display their progress separately. Saves the entire history of each child's progress. Supports multiple methods of writing letters. Supports left-handed writing, a must have for two of my boys! Setting up a child in the iTrace app is so simple, literally it took about 30 seconds to type in my youngest's name and add a photo for him. The parent's section is protected by a multiplication question you are asked to answer before entering. There, you can add new profiles for more children and change the setting for each child. I loved that you could choose the learning style you wanted to use and I could also set it to left-handed use since Jase is left-handed. Another feature I really appreciated as a first-time user was the tutorial. It walks you through the different features of the app quickly and easily. 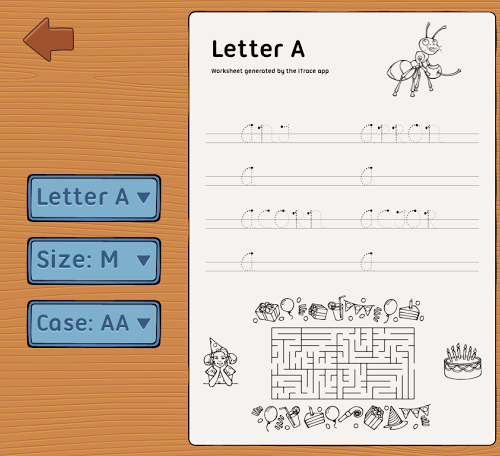 The worksheets that can be printed from the iPad are located here too, and they are a ton of fun! 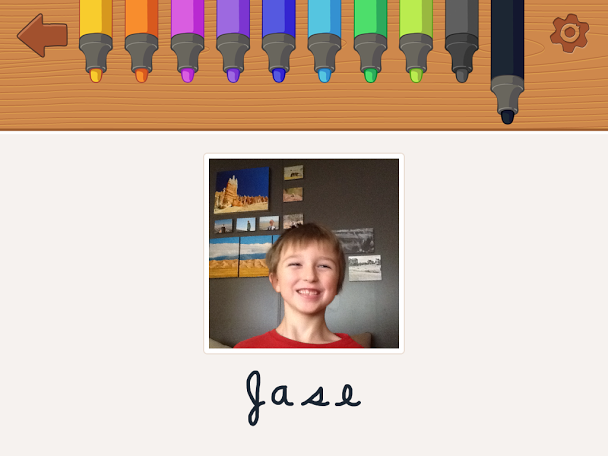 Jase liked the app and it was so much easier to get him to use it than a boring program at the kitchen table. He started off writing his name and then moved on to words. The part he liked the most were the scenes. You choose a scene like the farm, and then you practice writing the words to objects that you would find there. 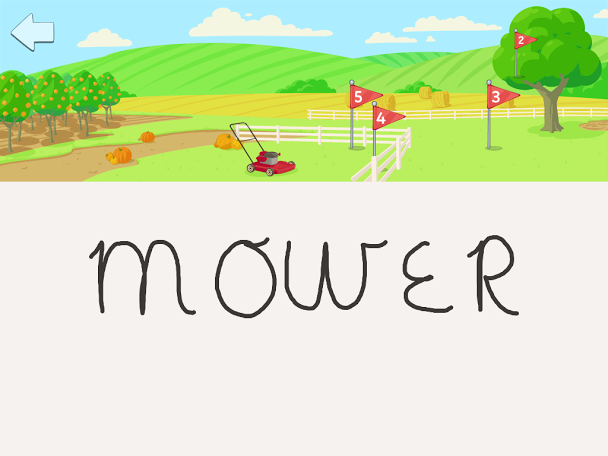 Once he successfully wrote the word mower for example, the lawn mower zoomed onto the screen. 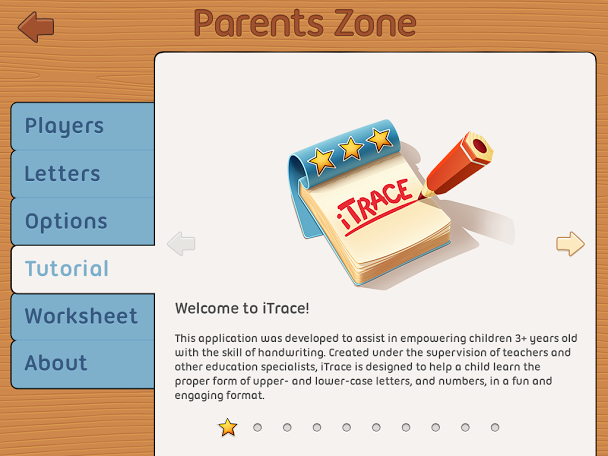 The iTrace App is a really fun and engaging way to get children excited about learning how to write. The regular handwriting instruction would be perfect for kids in pre-school and kindergarten and cursive writing works for children of all ages. The app is available for the iPad, iPhone and iPod Touch for $3.99, or there is a light version you can try for free before you by. It is a great investment and far cheaper than other handwriting programs you would find for kids! We highly recommend it. Now this is an APP that is great!! I wish they would have had this when I was learning to write. It looks fun and they can for sure learn from it!! I need to download this for my son, he is learning his letters and how to write them in school! I didn't realize it would accommodate righties and lefties both! That is fantastic!!! The way you showed the app in this review showcased it so well. Great job! I need an iPad! This is a great app!